I don't feel like this compares favorably to Arcane Anomaly. Arcane Anomaly is much better without the con. Won't see play. By far, the weakest of the Mage cards this expansion. The amount of people voting ''Bad'' out of the gate is baffling. You can Flamestrike the opponent with a 3 mana Arcane Explosion just to name one. This card is rather good. This is more of a Combo (hello Unexpected Results?) than Tempo card. Even then, it is slow... can't think of a deck to include it. The reason is because Cosmic Anomaly is basically the same card, with better stats, but without the downside. It will be interesting to combine that with Unexpected Results or Ray of Frost or something else cheap. It maybe really useful, so much +spell dmg on 1 minion. Trading +1 attack and +1 mana for the extra SP is worth it. Not to mention the +1 health which makes it more likely to stick on the board. I'd personally call it on par with Arcane Anomaly. I can easily see a mage deck running both cards with a bunch of high value spell damage cards. I really like this design, but I fear it'll get abused in some way. I mean this turns your Frostbolt into a Fireball for just one more mana, so there's some definite possibilities in Mage, not to mention boardclear shenanigans. Turning Arcane Explosion into a Flamestrike? Yes please. If this manages to stick for even just a turn the pay off can be astronomical. there might be some real potential in a spell damage mage now. I mean, we have at least 3 minions that increase spell damage by a lot and a number of spells that benefit heavily. Question is just how to tie it all together. You don't lose +1 Health. This is a 3/3. Arcane Anomaly is a 4/3. The extra attack doesn't matter, plus it's gained back with a single target spell which is even better since your minion doesn't take damage to do it. If it's a AOE spell than your getting loads more value than that extra +1 attack ever could. 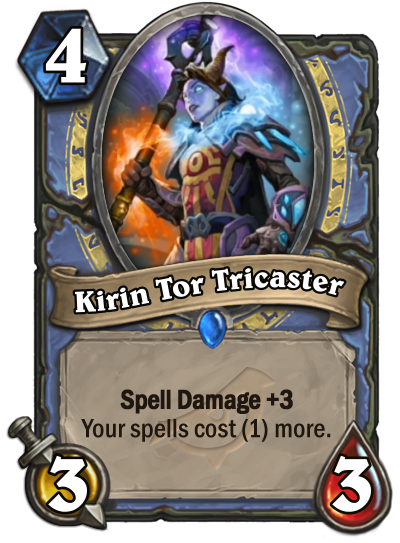 Mage is getting loaded with cheap spells plus the ones they already have. The health is the same. Why did I think this was a 3/4? Spell Damage is generally a weak mechanic, because it requires a Combo. Any further downside makes the card outright bad. I have run every scenario through my head, and even if the only spell you have in hand is fireball, the anomaly is STILL better because this doesn't allow you to ping. 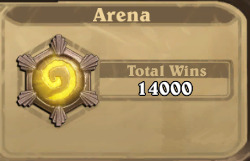 I somehow read that as "your spells cost (1) less" and thought Blizzard had gone mad. Good thing I read the comments. Lol. You normally will drop this when you have the Mana for a couple cheap spells. That extra damage more than makes up for the downside. This is the first ever +3 SP minion, it's been a common thing throughout the years for people to underestimate spell power. Even Evolved Kobold saw constructed play back in the day. This is a 3/3 with 3SP. The mana downside is worth it since your spells are considerably better when cast. Can't wait for all the trolden clips of people playing this, then trying to coin out a spell. And then seeing chat yell "order!" 2 manas kill 3 minions with 4 health? I not sure to call this a bad card, tricky for sure but not bad. It's not 3 mana when your opponent is just going to kill this anyway. It's actually still 7 mana. Might as well actually play Flamestrike so you don't have to rely on drawing two weak cards for the effect.